The days are getting shorter. The nights colder. And, recently, your pup has been acting… strange. They are howling at the moon and seem to disappear every now and then. As we get closer to Halloween, it may be easy to jump to the scary conclusion that your dog has turned into a werewolf. Fear not, DogTime readers. 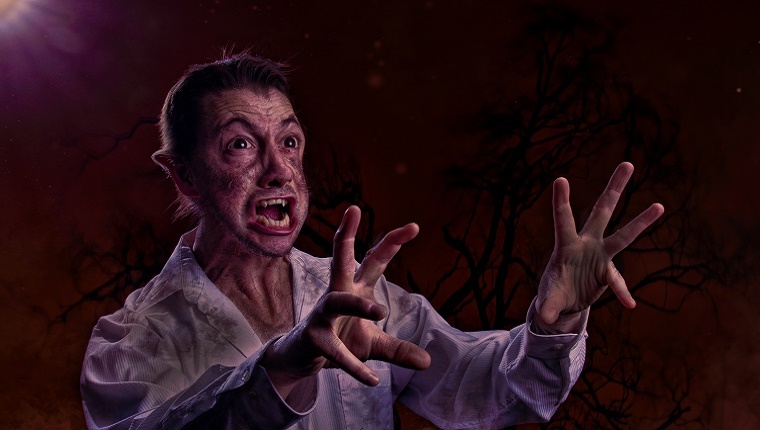 Before you go out and buy ancient, mystical tomes full of werewolf cures, go through this checklist of differences between dogs and werewolves to see if your pup has actually changed. Fido may be barking at weird shadows or even howling at the night sky. 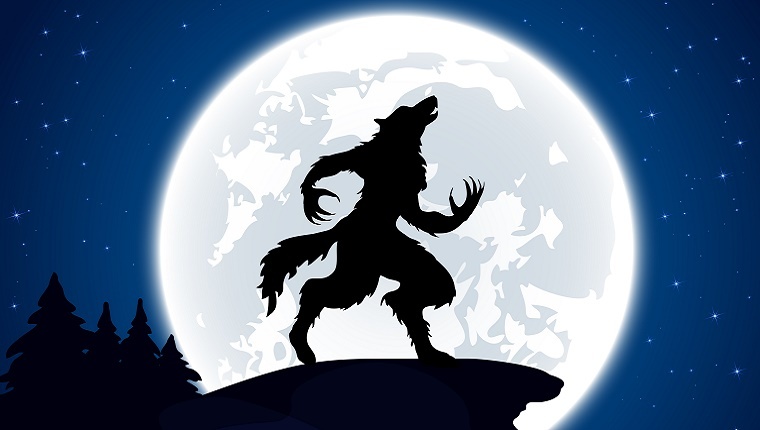 Unless he is also transforming into a terrifying mythical creature under the full moon’s glow, he’s not a werewolf. I already know your follow up question: “But what about werewolves like the ones in Twilight that transform at will?” They are shape-shifters. They are not werewolves. And neither is your dog. 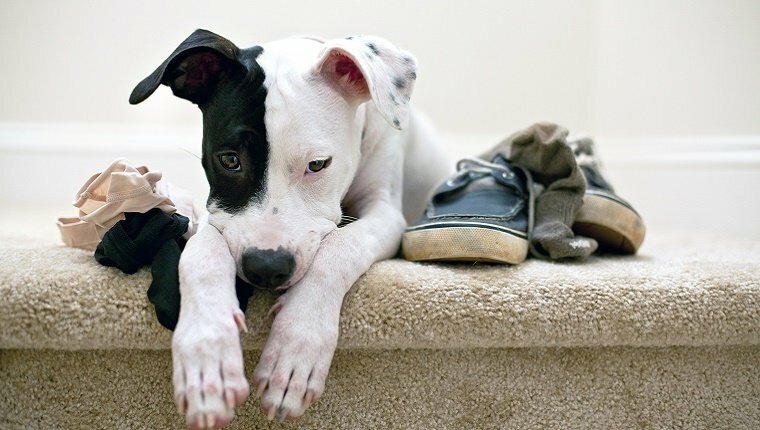 If your dog is bored or lacks training, he may tear things apart like dirty underwear, the garbage, or one of your very expensive shoes. Werewolves also tear these things apart, but with way more serious collateral damage. What werewolves are really aiming for are people and any other living creature that may look tasty. If the closest thing to a human your dog has torn apart is the creepy squeaky clown toy they got last year from your mom, you are safe. How many hits did that video you uploaded of your pup dancing for a treat get? A couple thousand? That’s pretty good, but you know what would get a million hits? 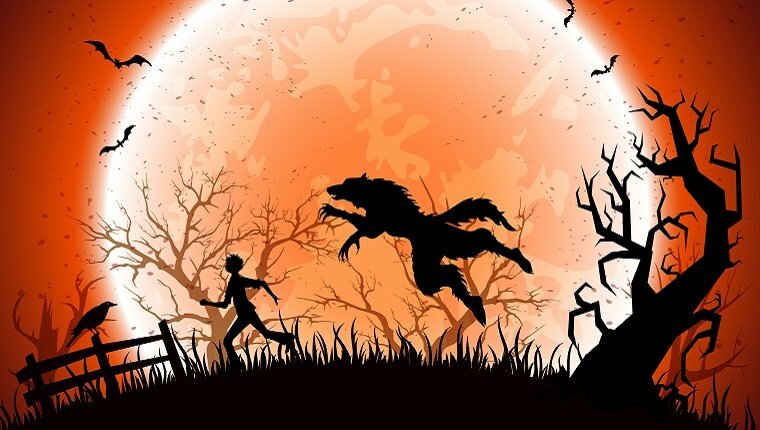 A werewolf in full sprint chasing prey in the light of a full moon. Chances are, you don’t have that on camera, and therefore are not in possession of a werewolf. I taught one of my childhood dogs how to climb up a ladder, and I was pretty proud of that. After reading some of the many abilities that werewolves seem to have–like instant self-healing powers, superhuman strength and speed, and wall-crawling–that feat seemed pathetic. 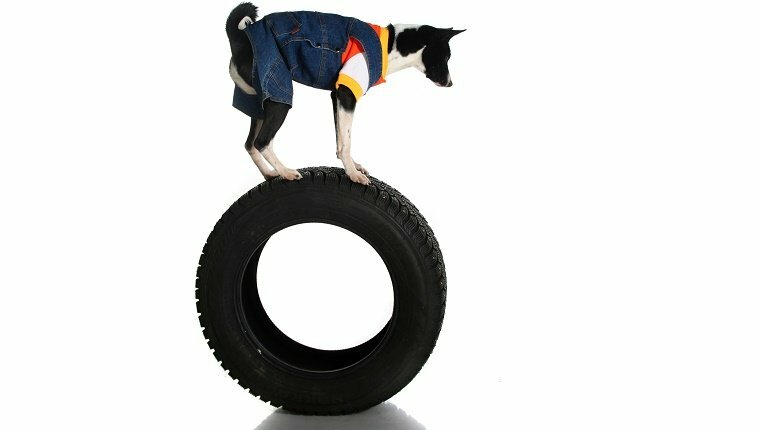 Your dog may be an agility champion, but unless they are crawling up the wall like Spider-man, they ain’t nothing but a hound dog. If television taught me anything, it’s that werewolves are pack animals. When they are in their human form, that pack is usually a motorcycle gang or a group of muscular, shirtless guys. Your dog may like to hang around with the neighborhood pups, but until you see him in a leather biker gang jacket or sporting chiseled abs, don’t go crying werewolf to the local news. Did your dog pass this checklist and you still want to be extra sure? Let him out in the backyard on the night of a full moon. If they do their normal potty business, which they most likely will, chill out. No werewolf on your hands. If they start to shake violently and turn into a hideous beast, run. Run very fast. Does your pup have anything in common with a werewolf? Let us know in the comments below!